I am presented with the Warning message from Reckon Accounts Printer Library, saying ‘The form you are about to print specifies the font [fontname ] which is not installed on this system. You may wish to install the font. Click OK to print anyway or Cancel to skip printing this form’. It does proceed with printing when pressed ok however it is taking extra clicks and time on printing. It also prints to the different form than I originally intended to. How can I fix it? The font you have selected on the form is not available in the Accounts Hosted environment. 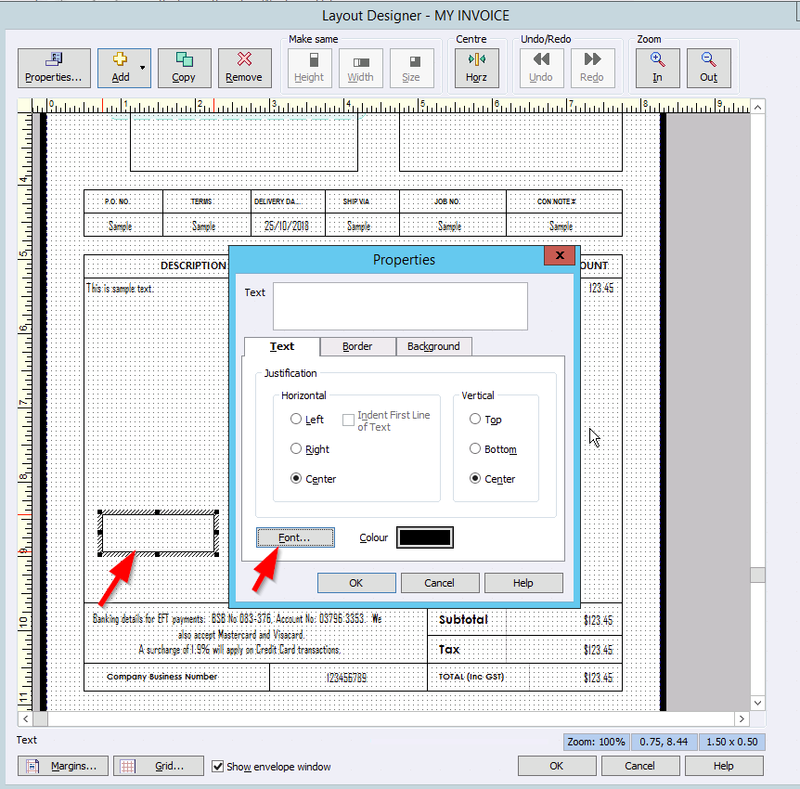 Customise the templates and assign the different font, that is available from the list. 1. Go to the List menu on the top menu bar and select Templates. 2. Scroll to the invoice template, that you are having an issue with. Select it and double-click to edit/open it. 3. Basic Customisation window will open. 4. 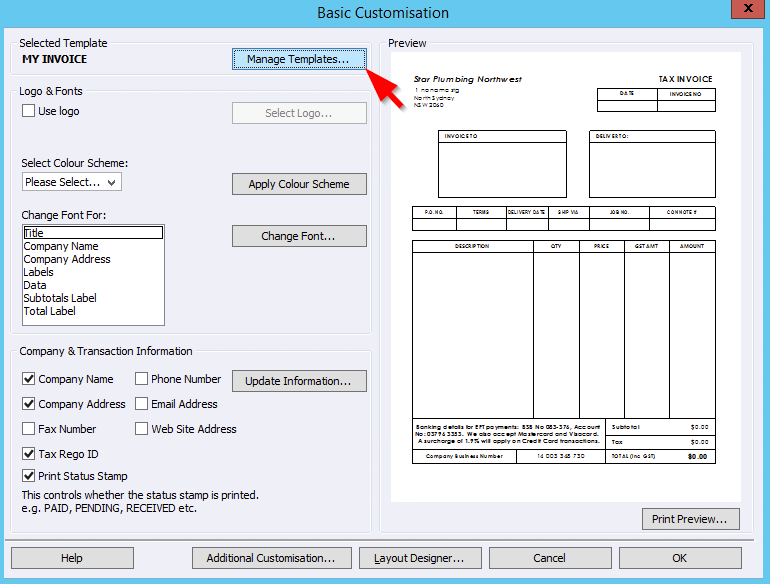 Click on Manage Templates, then select Copy. This will make a backup copy of the templates. 5. Press OK. You will now get back to the Basic Customisation window. 6. Under Selected template, check if you still have the same template selected. If not go to manage templates and select the one, that you are trying to fix. 7. Go to the Change Font For section. b. Click on Change font button. c. Select any Font that you like. 8. 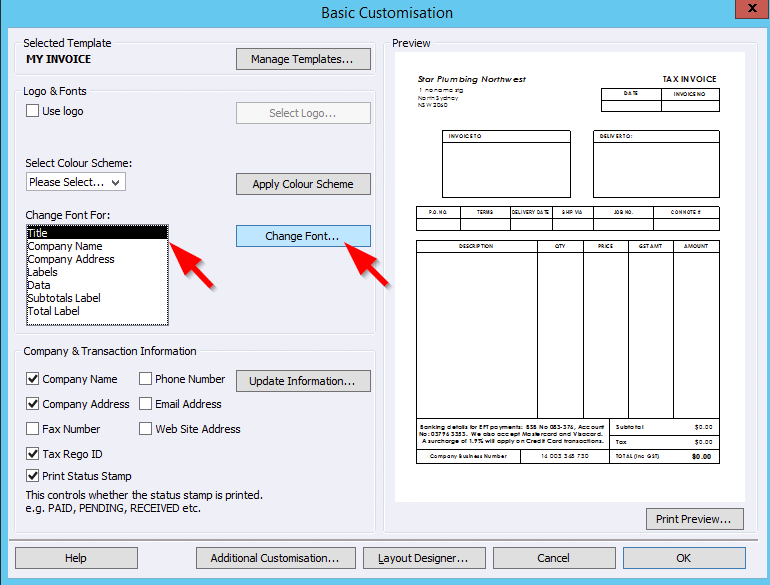 Repeat step 7 for all another area available under Change Font For section. i.e Company name, Company Address, Labels etc. If the issue persists, it may be because you have additional customisation done on the templates and there may be another area that would carry a custom font such as a text box. 9. Go back to the edit template and select the Layout Designer. 10. Navigate to the area, such as custom text box field (as shown below), that you may have added and that may have custom fonts. Double click on it. 11. Click on the Font and select any other font from the list. 12. Press OK, once you have changed the font for all. 13. Try printing again. Make sure the Invoices are set to the amended template and press Print. The problem should now be fixed.